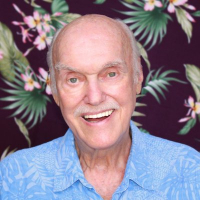 Ram Dass is an American spiritual teacher and the author of the seminal 1971 book Be Here Now. He is known for his personal and professional associations with Timothy Leary at Harvard University in the early 1960s, for his travels to India and his relationship with the Hindu guru Neem Karoli Baba, and for founding the charitable organizations Seva Foundation and Hanuman Foundation. He continues to teach via his website.